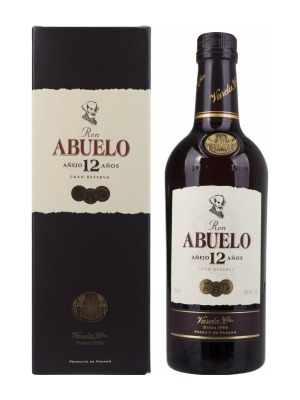 Ron Abuelo 12 Year Old Rum is a popular Rum available from TheDrinkShop in 70cl to buy online. Visit TheDrinkShop for the best price for 70cl of Ron Abuelo 12 Year Old Rum or compare prices on our other Rum products. The great reserve of the distillery. Sublime distillation, the best selection of white oak barrels and the passing of time under the tropical heat have resulted in this extraordinary product. Its character, softness and complexity will give satisfaction to the most sophisticated and challenging palate. Where to buy Ron Abuelo 12 Year Old Rum ? Ron Abuelo 12 Year Old Rum Supermarkets & Stockists. You can buy Ron Abuelo 12 Year Old Rum online in most retailers and find it in the Rum aisle in supermarkets but we found the best deals online for Ron Abuelo 12 Year Old Rum in TheDrinkShop, DrinkSupermarket.com, Amazon.co.uk, and others. Compare the current price of Ron Abuelo 12 Year Old Rum in 70cl size in the table of offers below. Simply click on the button to order Ron Abuelo 12 Year Old Rum online now.